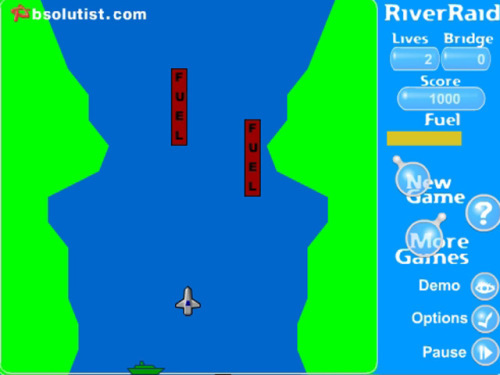 Description Be prepared to challenging and dangerous River Raid. Welcome on board! Destroy all the bridges on your way. I've spent a lot of time and money playing this game on Atari in video games services and later on my Spectrum when was 10-12 years old.